Encouraging open discussion about how comparable data and analyses can help science centers and museums make more data-driven decisions. In August 2013, COVES’ precursor, Creating a Collaboration for Ongoing Visitor Experience Studies (C-COVES), brought 27 museum professionals from 11 science centers and three consulting organizations, from across the United States together to discuss the various objectives, outcomes, and potential pitfalls of such a collaborative endeavor. After two days, the consensus was that a project like COVES is not only worthwhile but also necessary for the science center field as a whole. Since COVES’ inception in October 2014, the Governing Body has developed the primary instrument, which is currently being delivered in 13 science centers and museums of varying sizes and locations nationwide. It has also created a preliminary suite of training materials and protocols, which are presented onsite at each new COVES institution in day-long orientations led by COVES personnel. Pilot testing in 2015 finalized the sampling and survey delivery methodologies. Official data collection began in August 2015. The COVES team is made up of 14 individuals from science centers and related organizations from across the country. 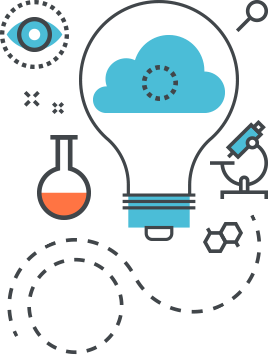 The Museum of Science in Boston and the Association of Science-Technology Centers (ASTC) handle research and administrative functions, respectively. 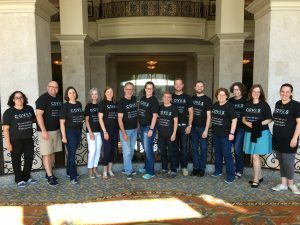 COVES regularly delivers sessions at conferences, and team members have presented at the Visitor Studies Association (VSA), ASTC, and the Association of American State and Local History (AASLH) conferences. In doing so, we aim to gather feedback on the current instrument and hear from other museums and centers about their evaluation needs. You can find out more about the COVES Governing Body here. COVES participants are small, large, rural, and urban science centers and museums. Currently, there are 13 participating sites around the United States. As the Governing Body continues to develop more visitor experience questions to add to the current instrument, it has also been creating a sustainability plan for the end of the grant-funded period. Additionally, we are in the process of working with our smallest participating institutions to develop evaluation capacity building resources specific to their unique contexts and needs. As COVES continues to grow and evolve, we plan to expand beyond science museums to the museum field as a whole. We want to do it right, though, so we will be moving slowly. Our next step will be to incorporate institutions closely-related to science centers and museums, such as children’s museums. If you are interested in joining the next round of data collection, fill out this COVES short questionnaire about your evaluation needs and interests. Or you can contact the COVES team with any questions you have.